The public policy contained in other statutory prohibitions, which need not necessarily go to jurisdiction of a court, must equally be given effect to, as otherwise special principles of law are fastened upon parties when special considerations relating to public policy mandate that this cannot be done, the court said. In Canara Bank vs NG Subbaraya Setty, the Supreme Court has observed that an issue of law which arises between the same parties in a subsequent suit or proceeding is not res judicata if, by an erroneous decision given on a statutory prohibition in the former suit or proceeding, the statutory prohibition is not given effect to. Justice Rohinton Fali Nariman, who authored the judgment, has elaborately explained the concept of res judicata and its exceptions when it comes to issues of law. Where an issue of law decided between the same parties in a former suit or proceeding relates to the jurisdiction of the Court, an erroneous decision in the former suit or proceeding is not res judicata in a subsequent suit or proceeding between the same parties, even where the issue raised in the second suit or proceeding is directly and substantially the same as that raised in the former suit or proceeding. An issue of law which arises between the same parties in a subsequent suit or proceeding is not res judicata if, by an erroneous decision given on a statutory prohibition in the former suit or proceeding, the statutory prohibition is not given effect to, despite the fact that matter in issue between the parties may be the same as that directly and substantially in issue in the previous suit or proceeding. When the issue of law in the second suit or proceeding is based on different facts from the matter directly and substantially in issue in the first suit or proceeding. Equally, where the law is altered by a competent authority since the earlier decision, the matter in issue in the subsequent suit or proceeding is not the same as in the previous suit or proceeding, because the law to be interpreted is different. Facts of this case are interesting. Setty, in order to repay the dues of the bank, signed an assignment deed in 2003 with the Chief Manager of the Bank for assignment of the trademark “EENADU” in respect of agarbathies. After several months, the bank, vide a letter, cancelled the assignment deed citing that as per the Banking Company’s Regulation Act, 1949, the bank cannot be “patent right holder”. This cancelation of assignment deed was challenged by the man, by filing a suit which also prayed for recovery of Rs.2, 16,000 from the bank. The bank also filed a suit for a declaration that the assignment deed entered into between it and Setty is vitiated by mistake, undue influence and fraud and that, therefore, the said deed is unenforceable in the eye of law. By a common judgment dated 27.04.2013, the suit filed by bank was dismissed and the suit filed by the Setty, was partly decreed holding that the bank had no right to cancel or rescind the assignment deed. On review petition filed by Setty, his prayer seeking recovery of Rs.2,16,000 from bank was also allowed on 16.03.2015. The bank only challenged this review judgment, but did not challenge the original judgment. Setty filed another suit in 2008, against the bank for recovery of a sum of Rs.17, 89,915/- with interest for the period 11 1.4.2004 to 30.4.2007. By a judgment dated 30.10.2015, this suit was decreed on the footing that the earlier judgment dated 27.4.2013, not having been appealed against, was res judicata between the parties. The appeal against this judgment in the second suit, filed by the bank was dismissed by the high court on the ground of res judicata on 31.7.2017. A few days before the judgment, the bank preferred review against the original judgment in the first suit. 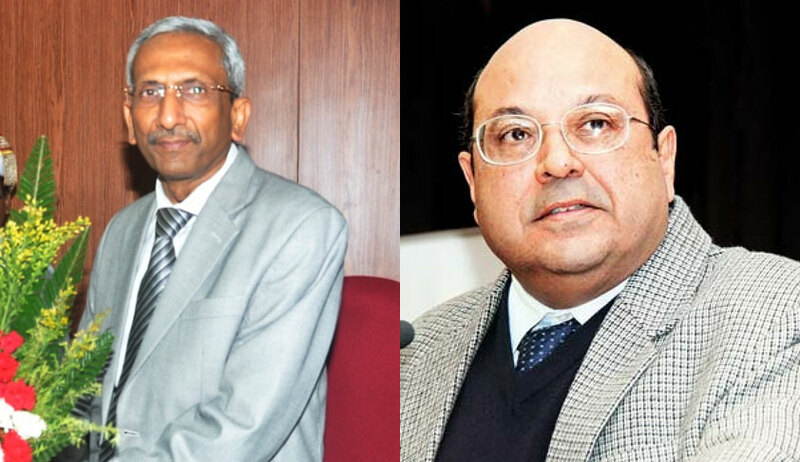 The bench headed by Justice AK Goel, allowing the bank’s appeal, observed that decision in the original judgment in the suit of 2004 has declared valid a transaction which is prohibited by law as Section 45(2) of the Trade Marks Act makes it clear that the assignment deed, if unregistered, cannot be admitted in evidence by any court in proof of title to the trademark by the assignment, unless the court itself directs otherwise. “It is clear, therefore, that any reliance upon the assignment deed dated 8.10.2003 by the earlier judgment cannot be sanctified by the plea of res judicata, when reliance upon the assignment deed is prohibited by law,” the bench said. The court also said both the trial court and the first appellate court were entirely wrong in treating the statutory prohibition contained in Section 45(2) of the Trade Marks Act as res judicata. The court said Sections 6, 8 and 46(4) of the Banking Regulation Act makes it clear that a bank cannot use the trademark “Eenadu” to sell agarbathies.